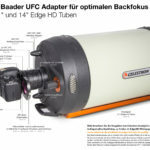 largest telescope-sided diameter of 65mm (depends on telescope-sided connection adapter such as "RASA"
Will the filter base and slides be compatible with the new Celestron 8" RASA? If you bought a Baader Filter set from us 3 years ago, they are definitely in the latest "Low-Profile" filter cell. 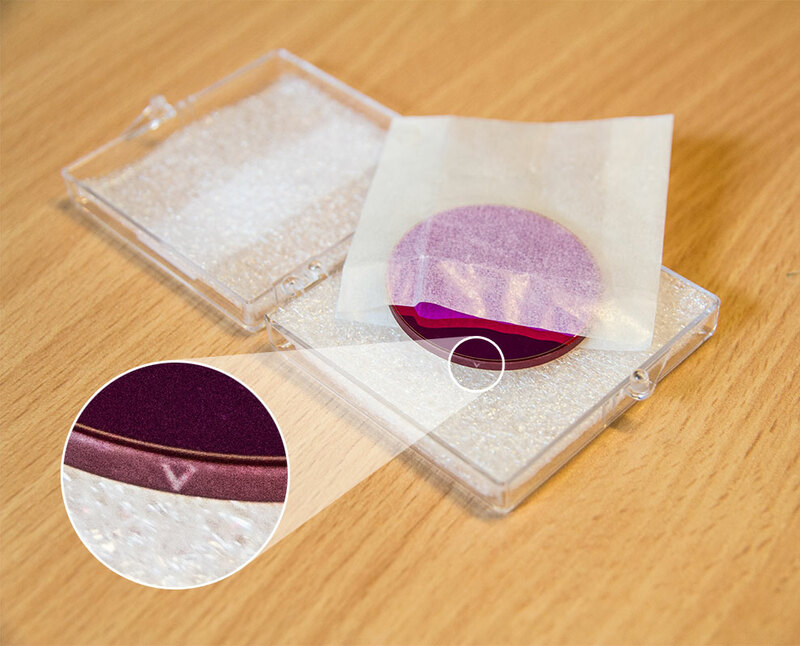 To be sure you can measure them - if they are 6mm thick they are LPFC, if its 8mm, they are older and wont fit the UFC 2" filter slider. 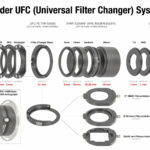 It is not possible to unmount the 2" filters from their cell and mount in the UFC 50.4mm filter slider - the glass in mounted 2" filters is only 46mm in diameter - otherwise they wouldn't fit in a 2" cell. The Baader-UFC is the priceworthy answer to an ever growing problem. New camera-models come to market in ever increasing speed. Spacers between telescope and camera don´t support the correct distance or are subjected to torsion due to their flimsy design and heavy cameras. And the owner may want to change the telescope - or use several OTAs, but does not want to purchase new filters and filter sliders all the time. 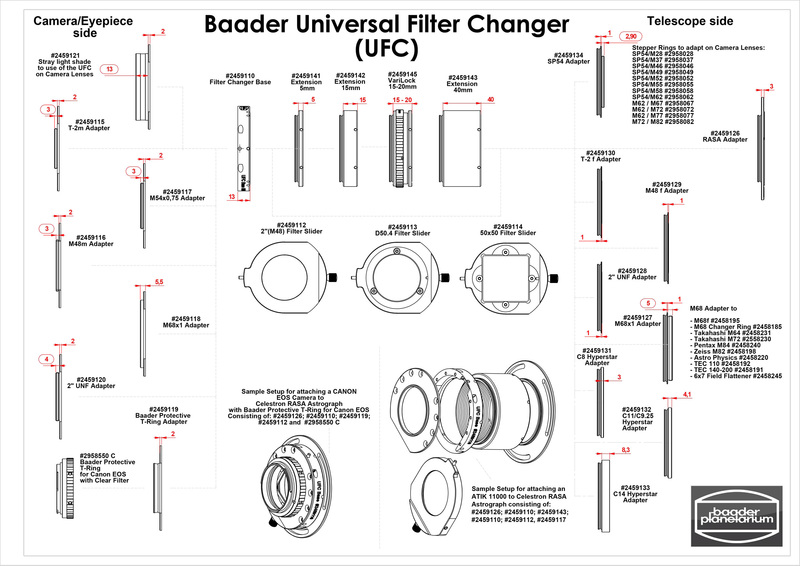 The Baader-UFC is a (seemingly) simple answer to a complex problem. It is made in the typical Baader-way, trying to connect each and everything in the most elegant and flexure-free manner. UFC with 50x50 filter slider, SP54 adapter, Straylight flange as well as DT-Ring SP54/M62 and Stepper Ring M62/M72 for Adaption on DSLR camera lenses.